Google might have bought Motorola back in 2012 for a whopping $12.5 billion and sold it off to Lenovo at a loss of nearly $10 billion barely two years later, but the company’s latest patent application suggests that the search engine giant might still be in pursuit of getting its money’s worth from the ill-fated acquisition. Google has recently filed a patent application detailing a modular smartphone ecosystem nearly two and a half years after Motorola unveiled the original Moto Mods branded modular devices under Lenovo ownership. Titled as “Modular Device and Methods Therefor”, the patent application (also archived at the Wayback Machine) details what could very well be a parallel design path for the existing Pixel smartphone line-up, or potentially even a separate series of devices. Like all patent filings, the document primarily illustrates a smartphone, but includes a standard disclaimer to extend its definition of modular technology to all portable devices such as “palm-top computer, a tablet computer, a gaming device, wearable computer, a remote controller, a media player, laptop computer, portable computer, or other electronic device”. However, the primary device illustrated in the patent is a smartphone that’s essentially broken into three discrete modular components: (1) the primary device housed in a single unit comprising of a display and allied hardware such as the SoC, sensor arrays, battery, and other electronic components, (2) separate upgrade modules electronically coupled to the main unit, and (3) a housing that serves to hold the two modular components in the familiar smartphone form factor. The three components fit into each other a lot like Lego blocks. Each component has a rebate, or a step-shaped recess, that allows it to slot into another component. As evident in the illustrations, the electronic components of the phone are crammed into a singular housing right behind the display, which forms the protruding lip of the aforementioned rebate. The other modular attachment can be configured with anything ranging from different imaging modules and an auxiliary rear display to a haptic feedback engine and system RAM expansion module. Both these components are electronically coupled with the external ports and physically held together by a separate housing. Google’s approach to modularity aims to find a middle ground between the failed Project Ara, that envisioned true smartphone modularity, and the now rival Motorola’s Moto Mods at the other end of the spectrum. While Moto Mods have been restricted to auxiliary battery backup, imaging, and other gimmicks, Google’s patent aims higher by allowing users to incorporate more complex modules such as an auxiliary rear display or even one that upgrades system memory. The proposed camera modules can also notably include their own image processing systems to bypass limitations imposed by the existing ISP and DSP hardware embedded in the phone’s SoC. This can allow the camera modules to go beyond the usual telephoto or wide-angle gimmicks and introduce powerful high-resolution imaging systems or even complicated 3D cameras that can break free of the existing SoC limitations by packing in their own bespoke processing hardware. Google posits that the device will not only allow users to pick and choose radically different camera modules, expand system memory, or even add a second display, haptic feedback engine, and dedicated joystick for gaming, but also free the company of the burden and cost of conducting mandatory regulatory testing for each permutation and combination of these features. 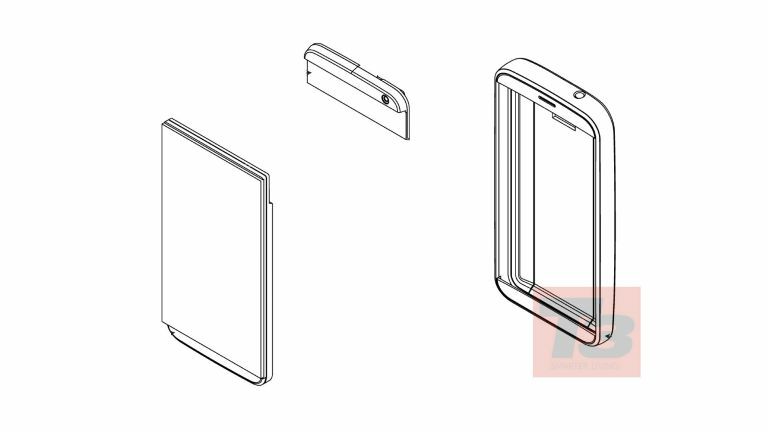 While this patent may not be as ambitious or modular as the original Project Ara, the extent of modularity proposed nevertheless transcends the gimmicky nature of Motorola’s Moto Mods. The patent filing also hints at this endeavour being the beginning of a “made to order model for purchasing electronic devices”. The document details how prospective buyers can build a customised device by separately purchasing the base unit, upgrade modules, and housings of varied shapes, sizes, and applications. The housings can vary substantially from a tough case meant for rugged industrial use to one that’s wrapped in “pink faux leather” in order to serve as a decidedly feminine fashion accessory. Although every patent doesn’t necessarily translate into a finished product, it is still interesting to see Google expand the underlying design philosophy of the Pixel series of smartphone into what could potentially shape into a foldable device or a modular middle ground between Project Ara and Motorola’s Moto Mods. In all probability, this could very well be shelved like its much-hyped predecessor, but the fact that Google has resurrected the original 2014 modular smartphone patent this year in a fresh filing could be a sign that it might even turn this into a standalone modular series of smartphones.